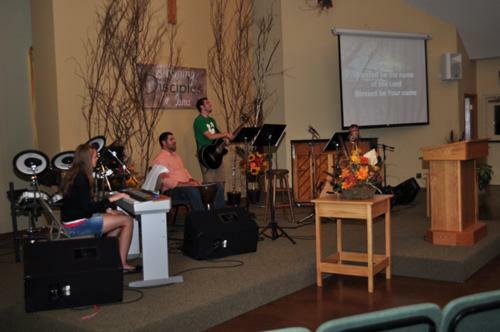 The Annual Fall Rally for the churches of the Upper Midwest Congregational Fellowship is held in late September or early October. 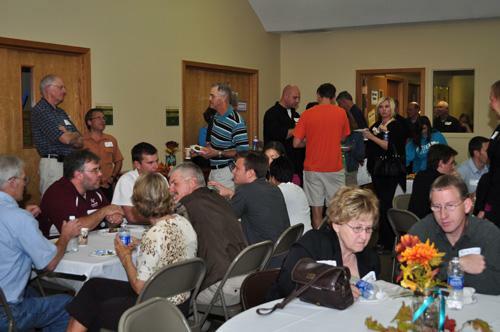 Each year a member church of the UMCF sponsors the event. 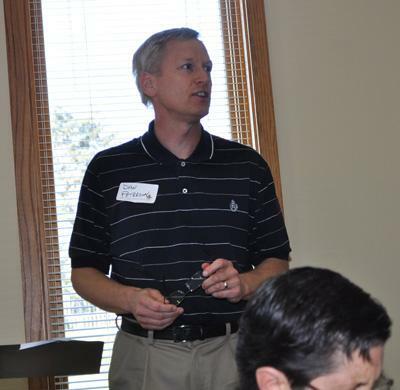 A guest speaker is invited to present a message in keeping with a theme of current interest to the Church. 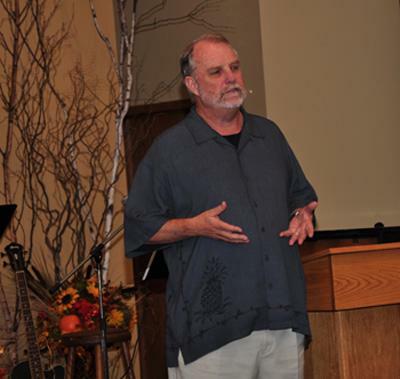 This past year's speaker was Larry Osborne, pastor of North Coast Church in northern San Diego County. 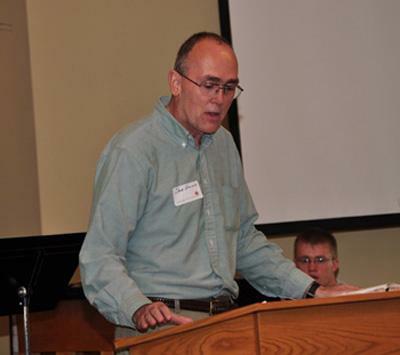 He is the author of Sticky Church and addressed the assembly on sermon-based small group ministry. The Rally begins on Friday evening with worship and prayer followed by brief report from individual churches and a message from the guest speaker. 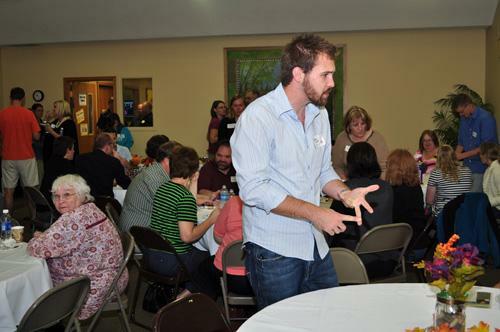 The meting is followed with a time of fellowship. 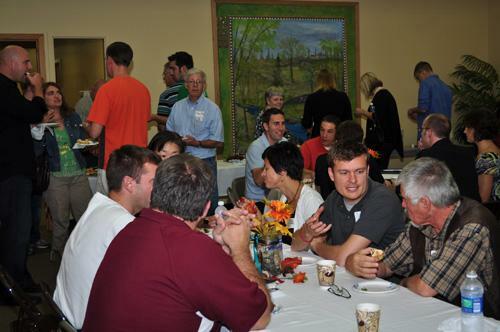 On Saturday morning a breakfast is provided and following prayer and worship, there is an additional address from the featured speaker. After lunch a brief business meeting is conducted and the assembly released to return to their respective churches on time for Sunday worship. 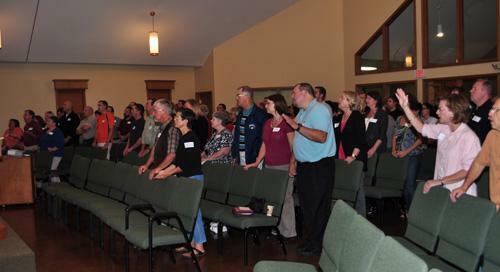 Pastor Schulenburg welcomes the churches of the UMCF on Friday evening. 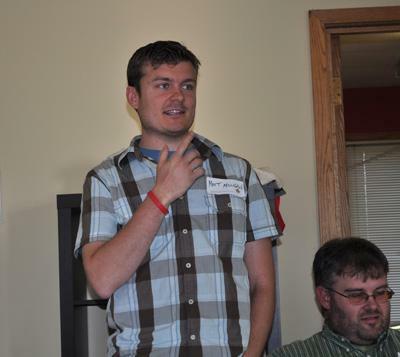 Steve addresses the assembly as we begin the Friday evening meeting. 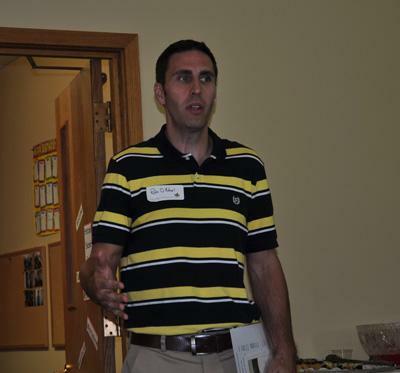 Rob reports on progress of the UMCF church plant in Shakopee, Minnesota. 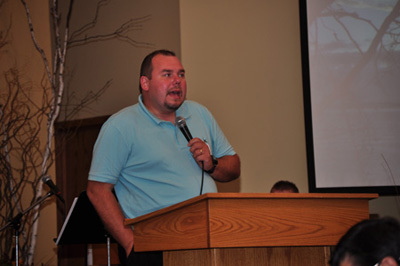 Matt reports on progress of the UMCF church plant in Hudson, Wisconsin.